Team Building Batam | TVworkshop Your Batam Team Bonding partner! OVERSEAS OUTBOUND RETREAT IN BATAM! Your next excellent team bonding experience for your team on Batam! Ever wondered what the best Hotel is to spend your time on Batam? Looking for the Singapore standard of service and Quality? 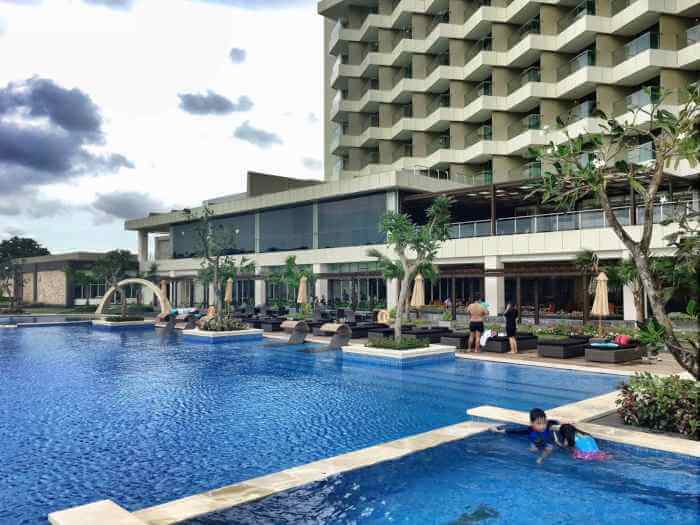 By far Radisson Golf & Convention centre Batam is the place to visit on Batam! Situated in the middle of Batam, it is an ideal place to wind down, relax and destress for a few days! Batam is an excellent overseas retreat location for your next team bonding, incentive meeting, product launch or other corporate events. In cooperation with Radisson Hotel Batam we crafted 2 packages ( 2days, 1 night & 3 days, 2 nights) which for sure will suit you needs for an unforgettable stay at Batam! Busy with planning your next corporate team bonding activity for this year!? Are we going to plan our team building in Singapore or are we going abroad on a outbound corporate company retreat? Bali, Lombok, Bangkok? Do not forget beautiful and exciting Batam as your corporate retreat destination this year. Just a 45 minutes boat trip from Singapore and you arrive in another world! 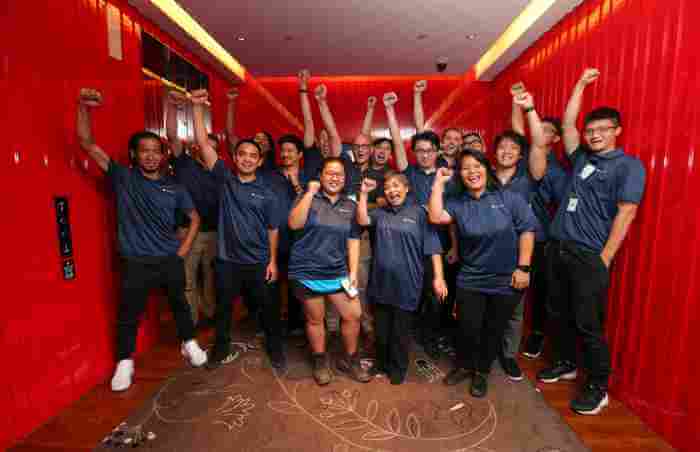 TVworkshop Singapore offers high quality team building events, success guaranteed! I have been there before? It is only for old people? What to do in Batam? Probably you heard this questions before! 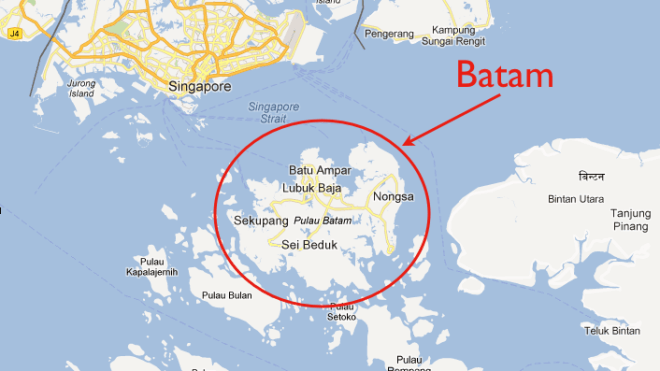 Did you know that Batam is bigger in size than Singapore? But it has far much more to offer than you think. From water activities ranging from jet skiing to parasailing, Batam is also a free-trade zone where you can experience some (intensive) duty-free shopping, with many pretty and relaxing beach resorts and a vibrant nightlife. A healthy combination for your corporate retreat needs. 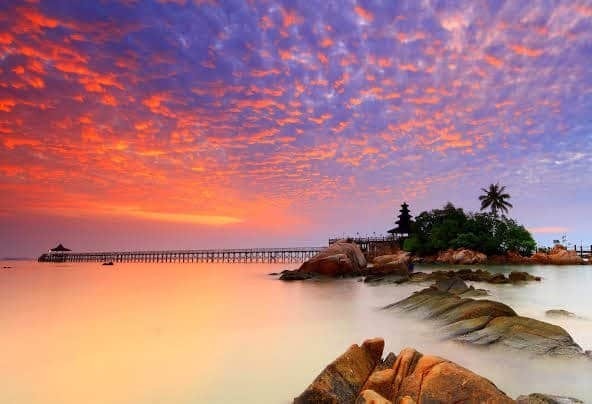 Batam located 20 km (12 mi) off Singapore is after Bintan the second largest island of the Riau Islands, Indonesia. The city administrative area covers three main islands of Batam, Rempang, and Galang (collectively called Barelang). 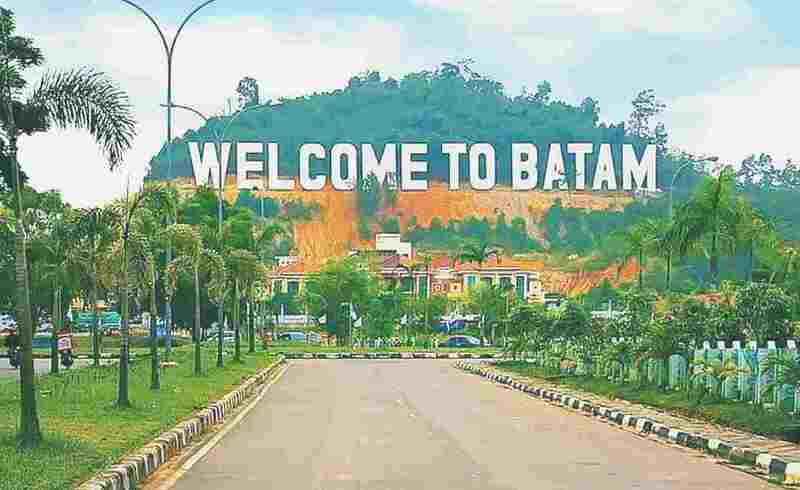 Batam is an industrial boomtown, an emerging transport hub, and under heavy influence of Singapore economically. Thousands of Singaporean enjoy Batam in the weekends for short 1 day trip, 2 night 1 day or 3 night 2 days trip. 1. Video team bonding Batam. Get into action and create your own commercial, movie or video clip in Batam! Brainstorm film and enjoy the exciting video end results in the evening. Oscar prize for winning movie! 3. Drum Challenge Batam. Using the power of rhythm and the beat of the drum to motivate people to work together! Each person gets a drum, build effective teams and encourage growth in staff. 4. 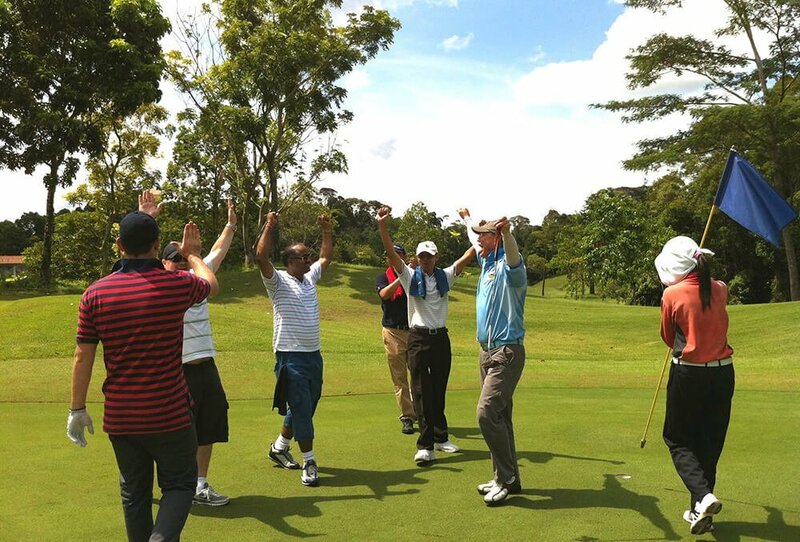 Golf team building Batam. Never played golf? Now is you chance. Sports can help unlock your creativity of your team. Get together, break into teams, and play the game so many of us love. 5. Lego serious Play Batam. Is a business and organisational strategy tool that helps you achieve actionable outcomes and desired goals in less time. In the process, your team members will learn more about each other! 1. Turi Beach Resort Batam. Located in Nongsa, this beachfront resort is next to a golf course, 1.9 mi (3.1 km) from Nongsa Pura Ferry Terminal, and within 16 mi (25 km) of Batam Centre Ferry Terminal. Catch some rays at the beach or spend the day relaxing at Turi Beach Resort's full-service spa. Then enjoy a meal at one of the resort's 3 restaurants. Team building at Turi Beach? Call us today! 2. Montigo Resorts Nongsa Batam. Just 30 minutes away from Singapore, this sprawling resort’s architectural expanse of white overlooks the wondrous deep blue of Nongsa waters. Their exclusive yet spacious accommodations along with sublime hospitality makes it the perfect island respite for all generations to come. Team building at Montigo Resorts? Call us today! 3. KTM Resort Batam. Best view Singapore ever! Sit down and relax at KTM Resort bar enjoy the sunset looking over Singapore. 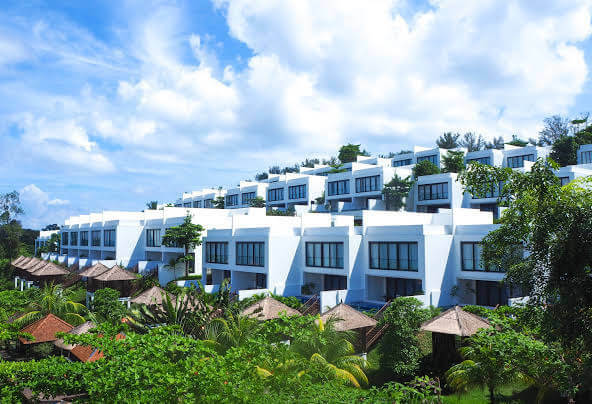 KTM Resort Batam is located in Sekupang in the Batam Region, 900 metres from Sekupang International Ferry Terminal. Team building at KTM Resort! Call us today? 4. I Hotel Baloi Batam. Situated in the centre of Batam this is the ideal Hotel for shopping at BCD ( Batam City Square) Get the best of Indonesian food at A2 food court. The hotel sets an exotic tone for a family vacation, romantic getaway, or even for an exclusive holiday. Team building at I Hotel! Call us today? 5. Radisson Golf & Convention Centre Batam. For fun loving golf enthusiastic people this is the perfect match. 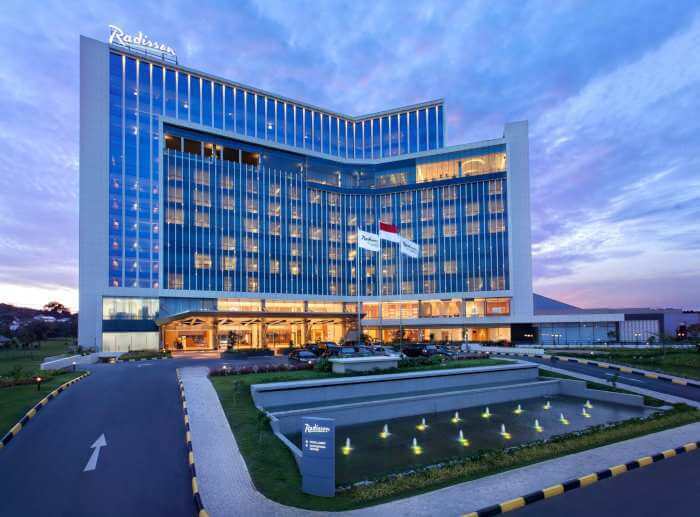 Within 100 meters walking distance you can find the award-winning 18-hole round of golf at Padang Golf Sukajadi The island’s largest convention centre hotel, Radisson Golf & Convention Center Batam welcomes you to paradise with comfortable hotel rooms, an on-site restaurant. Team building at Radisson? Call us today? 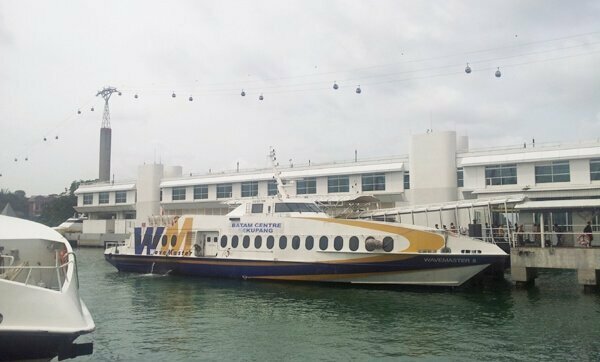 There are numerous ferry crossings operating from Singapore to Batam. Ferries currently connect 2 ports (Harbourfront and Tanah Merah Ferry terminals) in Singapore with 5 ports in Batam. TVworkshop Asia Singapore is a full service event organizer based in Singapore and operating in the whole of Asia. With our more than 10 years of experience working for numerous corporate companies, we are ready for you! In Batam we collaborate with local partners to serve you the best in hotels, ticketing, transportation, catering, team bonding and team building and other event needs. Feel free to call us or email us for free advice regarding your next overseas retreat in Batam Indonesia. We create the best Batam package for you!